Intertwined throughout history, Women is the pillar of the family and partner for development and progress. It is a constant reminder that Women play a paramount and fundamental role in the fabric of our society. Every woman figures out her worth, takes a flight of pride, soar through freedom and nestles in the arms of change. The artworks present myriad of style and technique from artists coming from different part of the world. 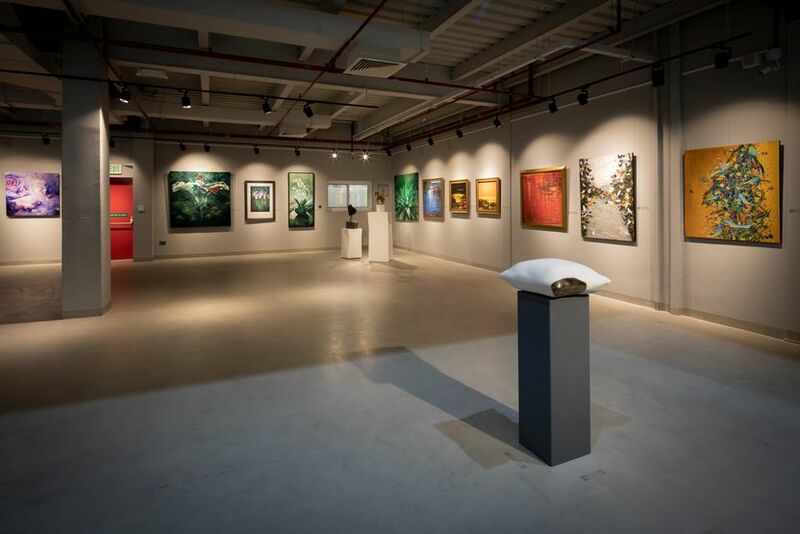 The Exhibition opened its doors last 14th March at Aisha Alabbar Art Gallery in Al Quoz 2 in honour to celebrate Women and in connection with Dubai Art Season until 30th April. In line with His Highness Sheikh Mohammed Bin Rashid Al Maktoum, quote “Behind every great community stand great women, leading each generation and raising our families and nation higher”, the exhibition marks a comprehensive approach and highlight the voice of female identified artists to showcase their artwork that reflect on the progress, act of determination and passion. Aisha Alabbar Art Gallery is presenting seven women artists Esraa Zidan from Egypt, Anna Galea from Malta, Shadab Khan and Madhuri Bhaduri from India, Mireille Coti de Gelmini from France, Marina Stoponja from Croatia and Humaira Hussain from Ireland to showcase their work that reflect and connect with their self. The exhibition is curated by the art activist Zaahirah Muthy hailing from Mauritius. Some of the artists were in residency for four days with the Gallery. In tandem to the Art Exhibition, we had a one-day workshop on 16th March where the artists Madhuri Bhaduri performed live whilst Marina Stoponja and Esraa Zidan had two artist talks with Q&A. On 17th March from 7h00-9h00pm, Aisha Alabbar Art Gallery hosted a panel discussion where women and man leaders in the creative industry expressed their view and inspired our audience. Aisha Alabbar, the owner of Aisha Alabbar Art Gallery and a passionate photographer quoted, “The exhibition is created to give women the opportunity to show their skills through art”. Aisha Alabbar Art Gallery, says Aisha Alabbar, is “an important platform for established worldwide pioneering modern and contemporary artists, presenting their masterpieces in group and solo exhibitions and promoting them and developing their international profiles. It is also a meeting point where art, cinema and fashion intertwine. A multidisciplinary space that speaks the language of Art and Culture”.